If you get a craving for something sweet during the day at work or at night but want to stick with your intentions of cutting out junk foods and sugar, this is the dip for you! 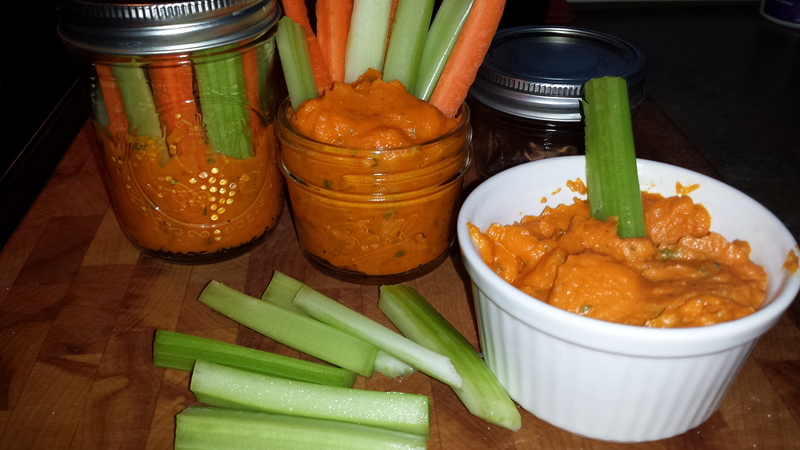 It’s simple to make and as with most of my healthy dips promoted here, it’s easy to pack in your lunch and go. Remove from oven and cool. Mash by hand or in a blender with a bit more olive oil, black pepper & thyme. Pour into bowl, add basil and parsley, mix well. Divide among several small mason jars with cut veggies or add entire dip to a serving bowl and serve with a variety of veggies for guests. 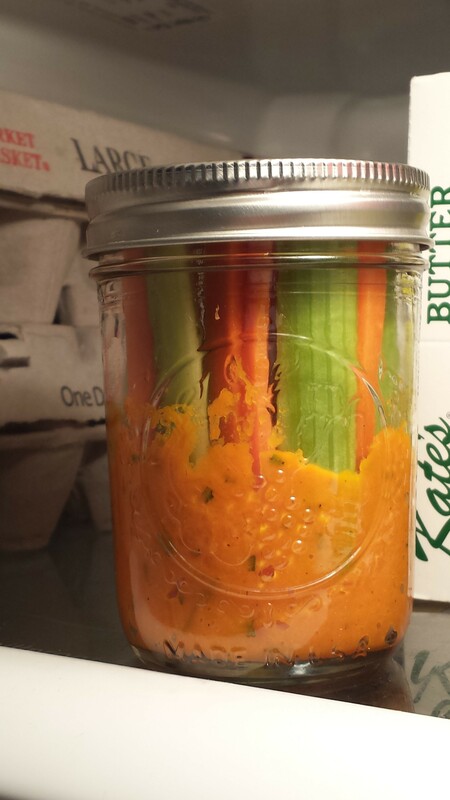 This is simple to make ahead of time and refrigerate for a week of healthy snacking!